OSWEGO, NY – Henry J. “Hank” Jadus, 92, passed away on Saturday May 23, 2015 at the Morningstar Care Facility. He was born on July 15, 1922, to John and Mary (Oleyourryk) Jadus on the family farm on the Rathburn Road in the town of Oswego. 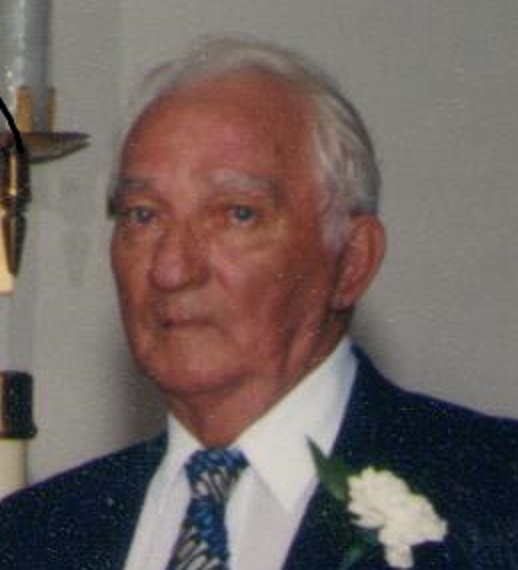 In 1940 at the age of 18, he went to work for the Niagara Mohawk Power Corporation and later retired from the Oswego Steam Plant in 1982 after 42 years of service. In 1960, he moved from the forks of the road on Bridge Street to the family homestead on Rathburn Road. He enjoyed farming in his spare time, working in his garden and raising a few head of cattle for sale at auctions. Hank was a member of St.Mary’s Church and had attended Sunday mass regularly until he could no longer drive. He cooked sausage for many years at the St. Mary’s Bazaar. He enjoyed bowling with his wife and friends at the Pinarama and the D.A. Lodge. He was a NASCAR fan. His favorite drivers were Dale Earnhart and Dale Earnhart Jr. He would spend many Sunday afternoons watching the races on TV. He loved horses and for many years would travel to the New York State Fair and spend many hours at the horse barns and coliseum watching shows. He enjoyed seeing the Budweiser Clydesdales perform. He is survived by a son, Joe (Carol) Jadus of Oswego; two daughters, Gloria Talamo of Oswego and Peggy (Dave) Clark of Maggie Valley, NC; three sisters, Sophie (Steve) Tryt, Rosie (Ed) Bergen and Helen (Bob) Marsh; eight grandchildren, Mark, Mike and Heather Jadus, Rick, Brian and Steve Talamo, Chrissy and Rick Clark; and 19 great-grandchildren. He was predeceased by his wife of 49 years, Laurraine (James) Jadus; three brothers, Joseph, Walter and John; and three sisters, Stella, Anna and Pauline. Funeral services will be held on Wednesday at 9:30 a.m. from St.Mary’s Church. In lieu of flowers, contributions may be to St.Mary’s Church, 103 W. Seventh St., Oswego NY 13126.